노스웨스트 준주(N.W.T)는 1870년에 루퍼츠 랜드와 노스웨스턴 테리토리스를 합쳐 형성됐다. 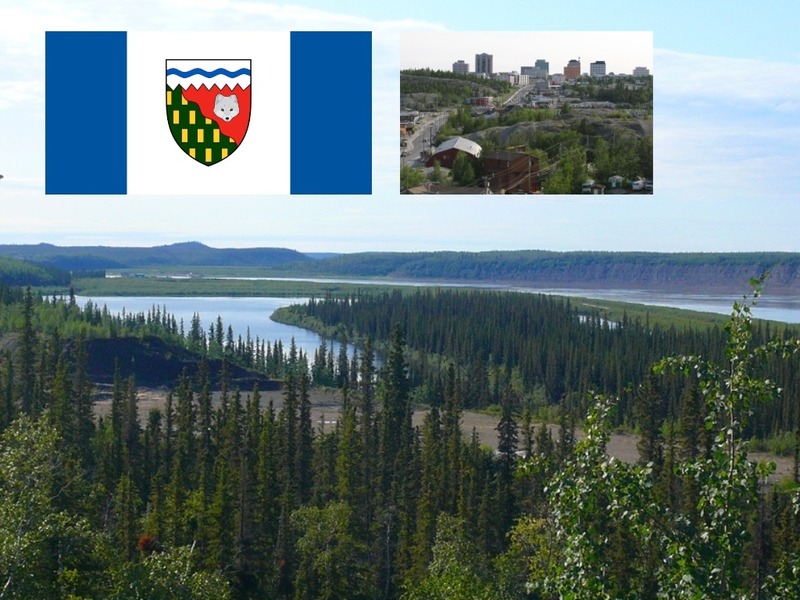 The Northwest Territories (N.W.T.) were originally made up in 1870 from Rupert’s Land and the NorthWestern Territory. 주도는 옐로우나이프(인구 2만)로, “북미의 다이아몬드 수도”로 불린다. 인구 반 이상이 원주민(데인, 이누이트, 메티스)다. More than half the population is Aboriginal (Dene, Inuit and Métis). 메켄지 리버는 길이 4,200km로 미시시피 다음으로 북미에서 두 번째로 긴 강이며, 그 유역은 180만㎢에 이른다. The Mackenzie River, at 4,200 kilometres, is the second-longest river system in North America after the Mississippi and drains an area of 1.8 million square kilometres.